Discussion in 'Pregnancy - First Trimester' started by miss maternal, May 8, 2007. Here they are...... Sorry there is a lot! As you can see my bladdar was full to the brim but baby looks fine. Baby is 12 weeks today. oooh u got loadsa diff ones there gr8 hun!!! 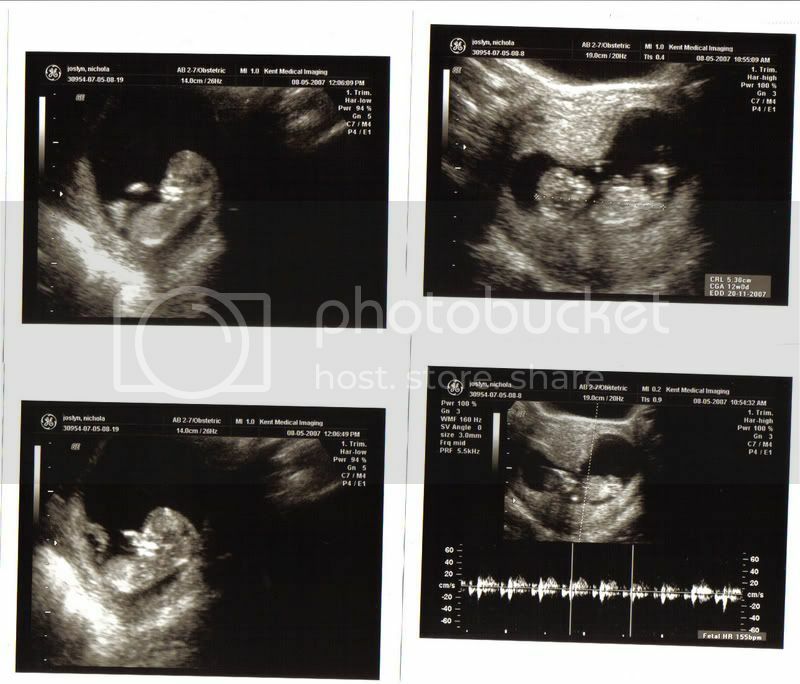 wobbs its amazin how diff teh pics are between 10 weeks and 12( ano ur 7 but chloe was 12 n callum was 10 lol) callum looked liek a blobby thing still n chloe was a baby lol!!! I have mine in 3 weeks, cant wait! They're great pics. Makes it all seem more real now I expect. All these pregnancies are making me feel broody for more. Great pics. Lucky you to get so many! Yeah but it cost me 120 quid! I needed reassurance though. 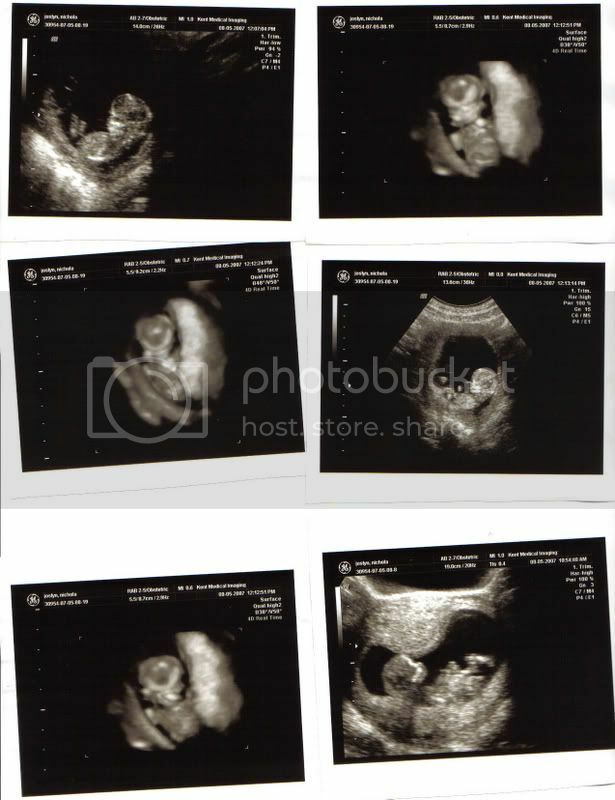 Had to have 2 scans in one day as baby had fallen asleep so they couldnt measure for nuchal scan. I can't hold my wee its SO bad!! I went twice whist I was waiting!! No, the scan was 120 pounds but the scan pics and dvd were free. they great pics thats amzing !!! !